There are some quotations that hit me so hard that just for a moment, they take my breath away. Like this one from W.H. Auden's poem "Atlantis." 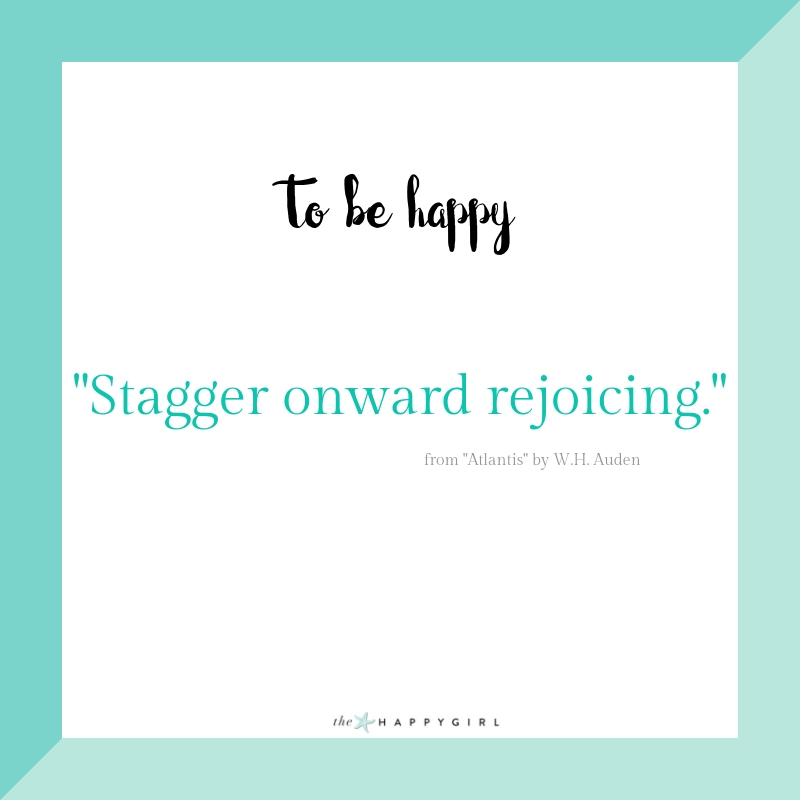 Stagger onward rejoicing. I let the words roll slowly off my tongue. These words have such a visceral feel to me. They mean something. They mean something to me. I think of this selection often when I am in a pickle, when the day feels wrong and my soul is tired. When you are stuck in the weeds it's hard to imagine that things will get better. 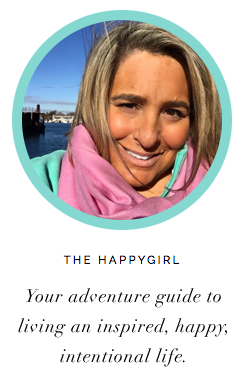 When you feel defeated/angry/sad, it's easy to think that this is your life now and forever. You, we, have bad things happen to us and sometimes we have no control over these things which can be awful. humiliating, sad, traumatic or even just annoying. We can, however, control how we respond to these situations. I have to remind myself that the day won't always be that challenging. Just as things changed from good to bad, they can go from bad back to good. So often I have had to say to myself "Stagger onward rejoicing. Stagger onward rejoicing. Stagger. Onward. Rejoicing." Life is good. We woke up today, another day to inhale air into our lungs. Another chance to make someone else's life wonderful, another opportunity to make your life memorable. It's OK to take a pause, cry for a moment, have a tantrum, be angry. Then wipe the tears, take a shower, go for a walk, listen to your favorite happy music, clean your slate and start again. Move forward. Let go of what doesn't work for you. Let go of the people who make you feel less than. Pray. Surround yourself with the people and things that bring you joy. Whatever is happening at this moment that is causing you grief or pain is temporary. You are the master of your domain and your future is yours to shape. I hope this week is a good one for you. Tomorrow is the first day of spring and hopefully the dreary winter weather is behind us. If this week is difficult, you have the strength in you to power through. Maybe you'll have to stagger onward rejoicing, diligently trying to make it through but I know you. Not too far from now, you'll be virtually skipping onward rejoicing. You will.